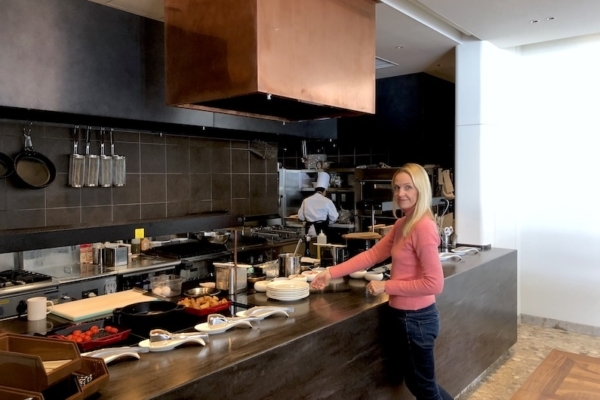 When we first stayed at Shiki Niseko in 2013, the hotel had just opened. 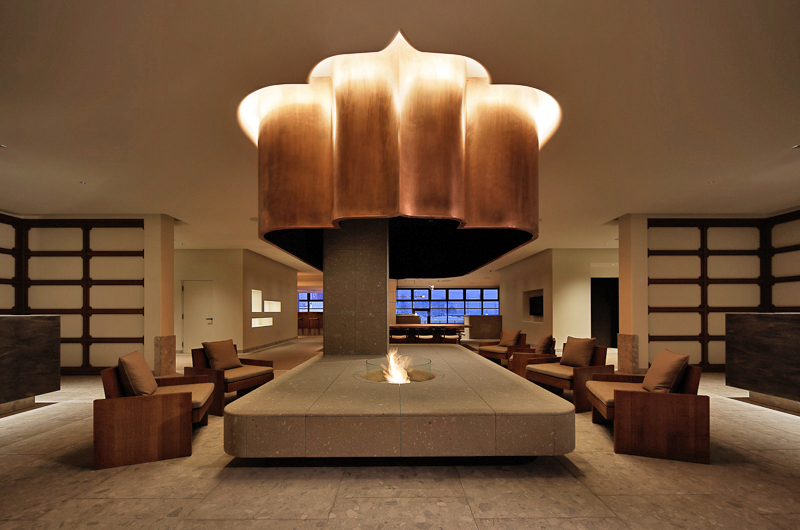 Back then, this was a brand new building which helped usher in a new age of high-end accommodation in Niseko. 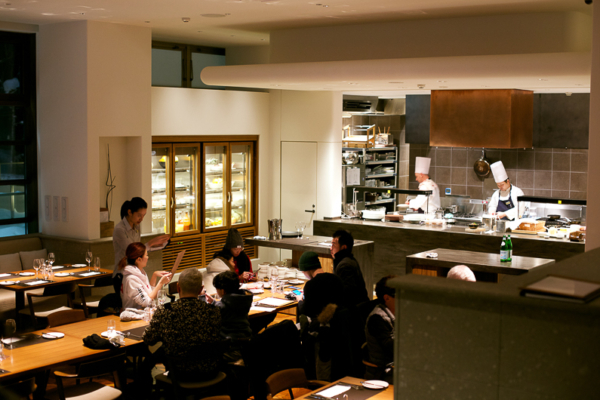 For that ski season, Shiki Niseko was the talk of the town. Fast forward six years and once again, the same hotel is on everyone’s lips. 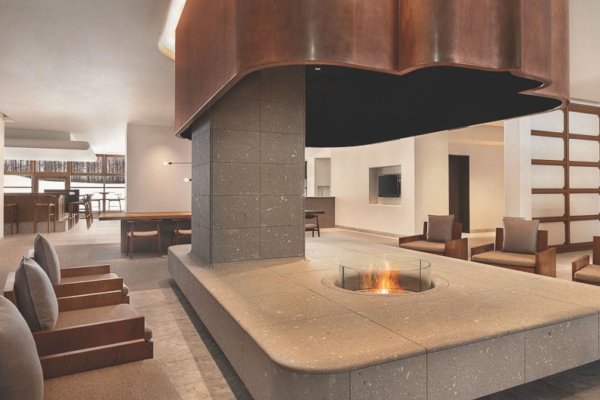 Seeing a global brand like Hyatt invest in the area is just one of the signs of how Niseko is taking off, big time – Hyatt House Niseko is the first Hyatt House in all of Japan. 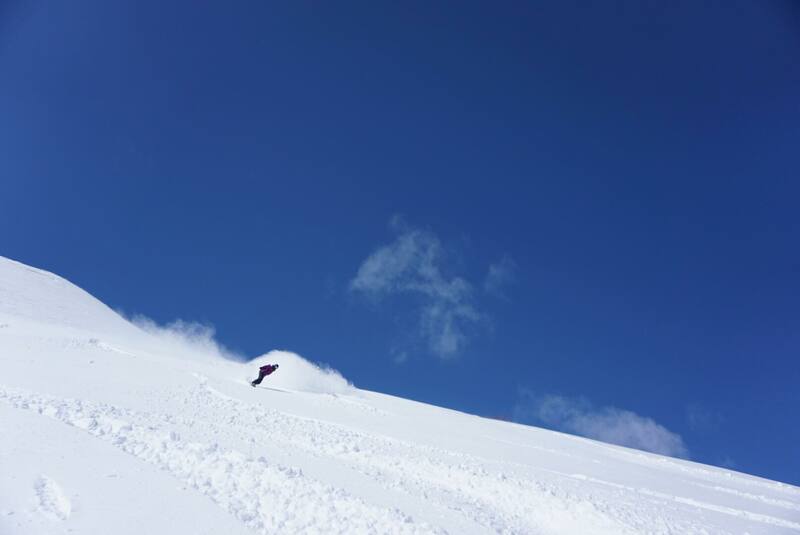 We checked in to experience the new swing of this Niseko heavy hitter first hand. 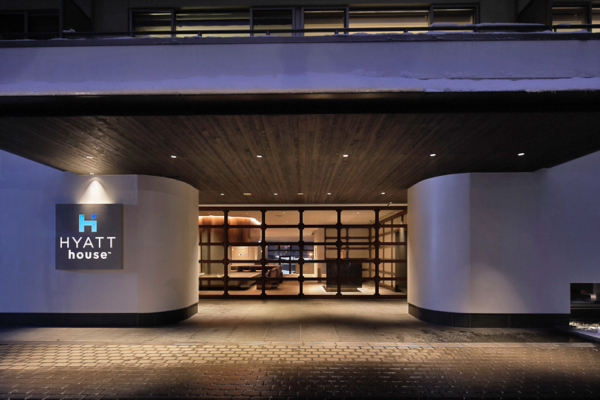 Located in the centre of Hirafu Village in the prominent Shiki Niseko building, Hyatt House Niseko is hard to miss. 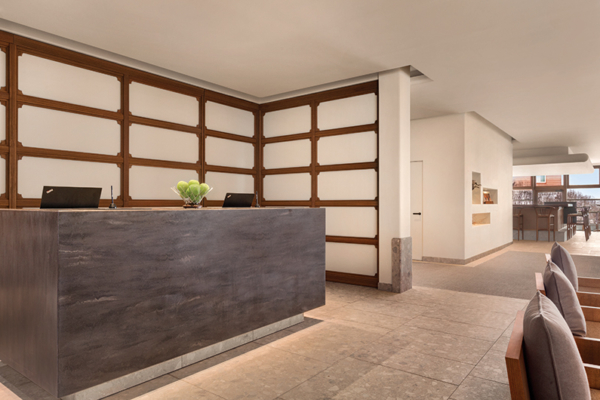 Stepping in from the cold, the hotel’s elegant lobby is built around a designer fireplace and populated by gracious staff trained to meet Hyatt’s high standards. 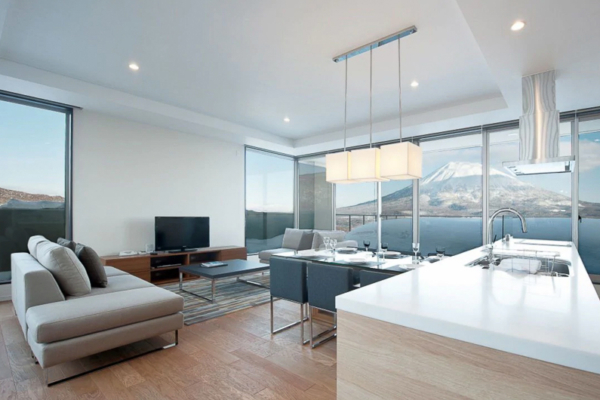 Hyatt House Niseko is home to 63 apartment style suites, including six penthouses. 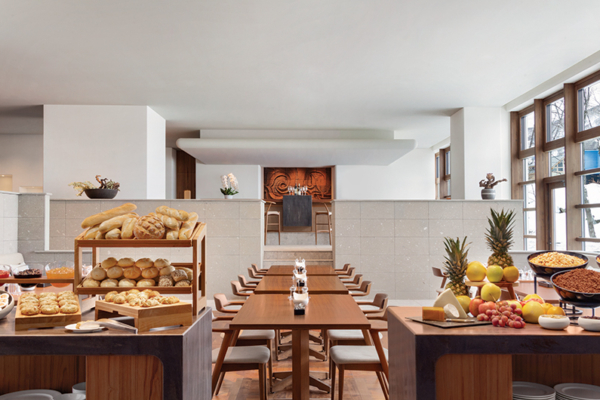 Each unit is sleek, chic and sophisticated and pays subtle homage to the original design of the hotel. More renovations and updates are planned for the summer months so you can expect some new flavours for the next ski season. This time around, we stayed at the Two Bedroom Yotei View Suite for two nights. Seeing as it was March, we were treated to beautiful bluebird days which allowed us to really drink in the views. In the heart of winter, all suites look out to near identical whiteout views as the town gets covered in metres of the same champagne powder which has made Niseko so famous. The design of our suite was luxurious without forgoing functionality. The light and spacious living room (which naturally looks out to Mount Yotei) comes with Apple TV and also incorporates a fully-equipped kitchen with a Nespresso machine catering to those of us who wouldn’t dream of heading out to the snow before getting our daily caffeine fix. Another important detail: all the beds at Hyatt House Niseko can be set up either as kings or two singles which provides great flexibility. 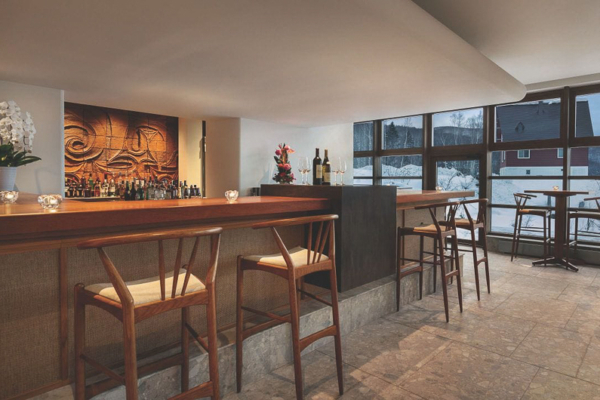 Hyatt House Niseko is only minutes away from the closest ski lifts (about midway between the Hirafu Gondola and Ace Family Quad Lift), offering prime access to the best Hirafu has to offer. 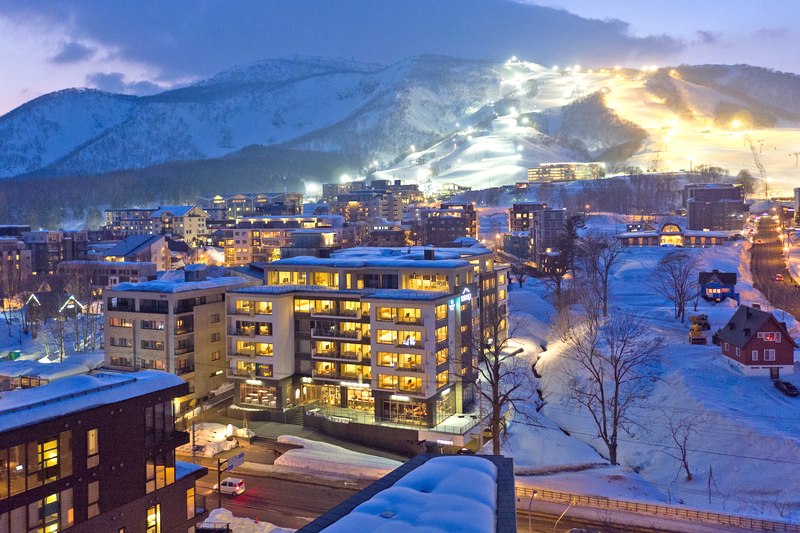 With such a strategic locale, it should come as little surprise that all your slopeside needs are met – and then some. Guests have access to numbered ski lockers and boot dryers, with a Rhythm Japan counter offering ski and snowboard hire right on the premises. If you prefer the royal treatment, the hotel also offers a Platinum Service which allows guests to have their boots fitted in the privacy and comfort of their apartment. To save you from having to schlep your gear to the lifts, Hyatt House Niseko also offers a complimentary shuttle service. The hotel has a private fitness centre which is fully fitted with Life Fitness cardio equipment, dumbbells, exercise balls, TRX straps – the works. The gym is open 24 hours a day and exclusive to in-house guests. At the end of the day, it’s the little things that end up making the difference when you’re travelling. For guests’ convenience, there is an international ATM on the hotel premises – trust us, this is a rare find in Niseko! 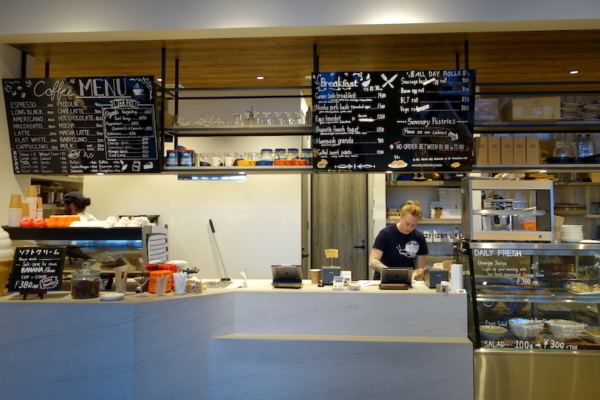 There are two convenience stores within a three-minute walk and if you start feeling peckish at 2am, Hyatt House Niseko’s own H Market is open 24 hours a day. 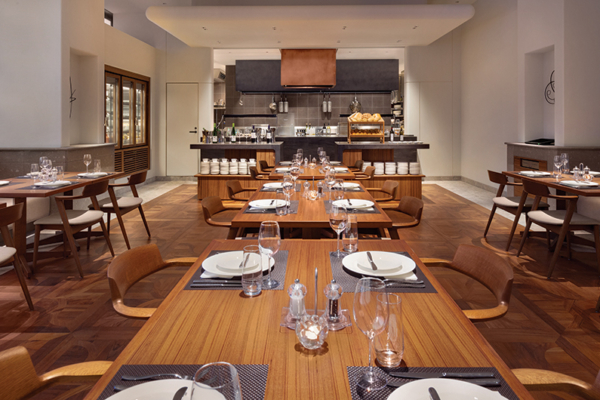 One of the many highlights of staying at Hyatt House Niseko are all the dining options available right at your fingertips. 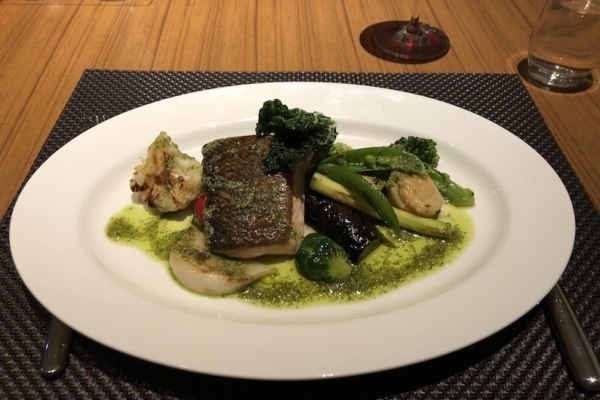 The hotel is prominently located along Route 343, the main road which runs through Hirafu, meaning you can easily stroll over to a whole array of restaurants. 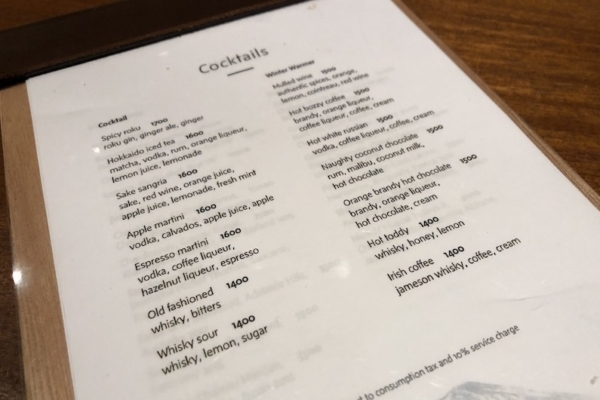 But the beauty of staying at Hyatt House Niseko is that you don’t really need to venture outside unless you really want to. 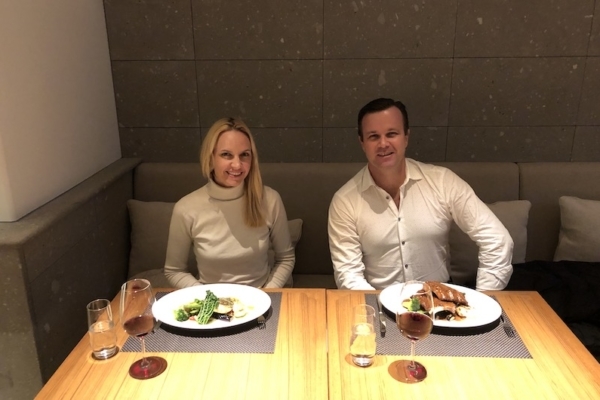 We had the pleasure of enjoying two days’ worth of meals at the hotel’s Italian themed H Restaurant. 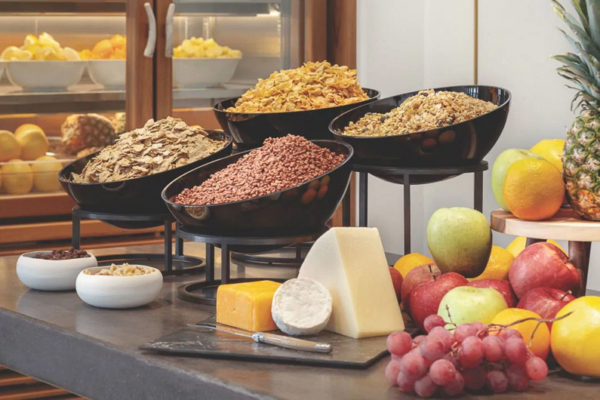 The breakfast buffet was great, with an omelette station, fresh pastries, Hokkaido yoghurts and more fuelling us up for a busy day ahead. If you have anything even remotely resembling a sweet tooth, you simply must try the homemade cookies – we swear these are the best cookies in Niseko! 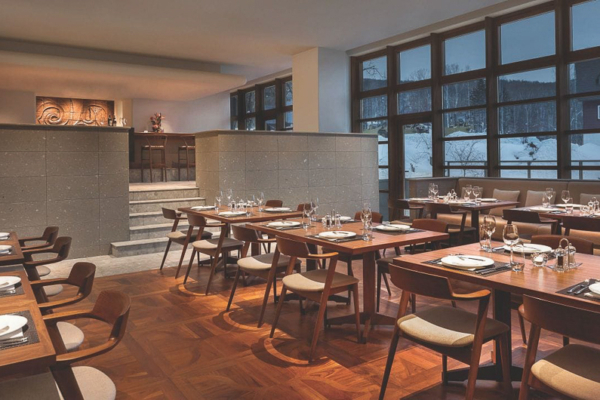 Besides H Restaurant and Bar, the Shiki Niseko complex is home to the Michelin starred Kamimura restaurant and the elegant Kitchen dining lounge. For more casual dining, there’s Temporada for tapas (and occasional live music) and our personal favourite, Green Farm Café for coffee (they roast their own beans! 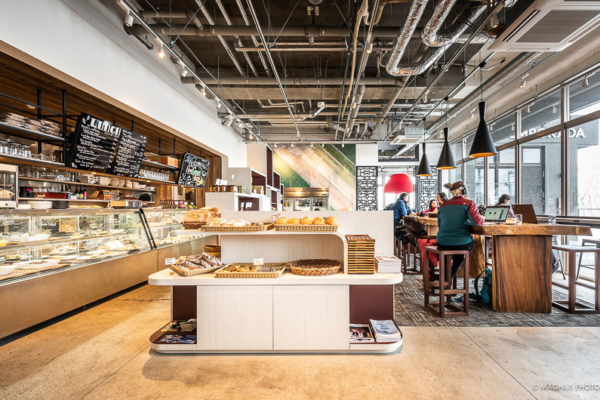 ), relaxed meals and deli goods. 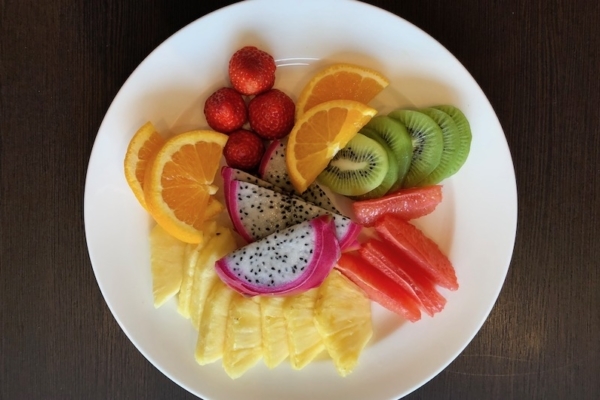 Overall, it’s safe to say you won’t go hungry while staying at Hyatt House Niseko! 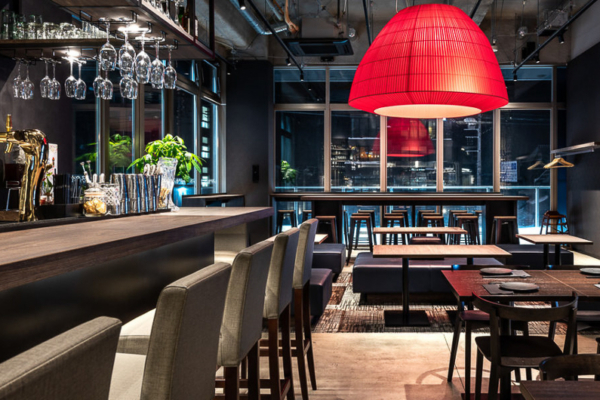 Hyatt House Niseko delivers the full package: world-class hospitality and five star facilities in a prime location, all framed by picture-perfect views of the surrounding ski hills and Mount Yotei. It was a real treat to check in again and to be able to experience a new age of this Niseko landmark. We can’t wait to see what comes next.